Under pressure of the August 2 deadline set by the U.N. Security Council, Sudan and South Sudan have in these last days of talks made gestures toward a negotiated settlement on a host of issues plaguing their post-separation relations. Negotiations are ongoing, but with the announcement of the cancellation of the presidential summit, an agreement on these issues seems all the more unlikely. Despite movements on both Sudan and South Sudan’s proposals on outstanding issues in recent days, the two sides’ positions ultimately remain far apart. 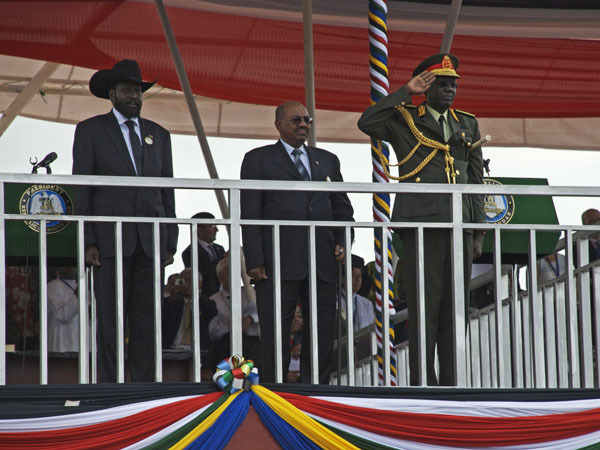 South Sudan’s generous financial proposal was followed by marginal concessions by Khartoum. The U.N. resolution that established the August 2 deadline mandates the African Union, East African regional body IGAD, and the United Nations to step in to propose solutions if the two countries cannot. Negotiations over humanitarian access and the political and security-related issues underlying the conflicts in South Kordofan and Blue Nile have also been in flux. In recent days, Khartoum announced its willingness to initiate political talks with the rebelling SPLM-N, a gesture that has been met with skepticism on the part of the SPLM-N who continue to emphasize the humanitarian needs in the two states. In the days remaining before the August 2 deadline, targeted and coordinated international pressure are necessary to help push the two leaders toward agreement on the remaining issues. At a minimum, Khartoum’s acceptance of the AUHIP map, which allows for the [demilitarized zone] to be established, and a temporary mechanism providing international, third party humanitarian access into rebel-controlled areas in South Kordofan and Blue Nile, are important for maintaining peace between the two countries as they are likely continue to haggle over their futures after August 2. The policy report covers Sudan and South Sudan’s positions on economic issues, including oil, debt relief, and a direct financial assistance from South Sudan to Sudan to help fill Sudan’s financial gap resulting from separation; security and the border, including the establishment of a demilitarized zone of 10 kilometers on either side of the tense boundary; the future of the contested Abyei area, including who is eligible to vote in a referendum on Abyei’s status. For Juba, the international community ideally serves as the ultimate arbiter and deadline enforcer on talks that have already dragged on for too long. For Khartoum, current talks are as much about normalizing its economic relationship with the international community as they are about negotiating the best package from Juba. Thus, strong international diplomacy is crucial at this stage to make progress in the final days before the timeframe for Sudan and South Sudan to come to their own agreements expires.